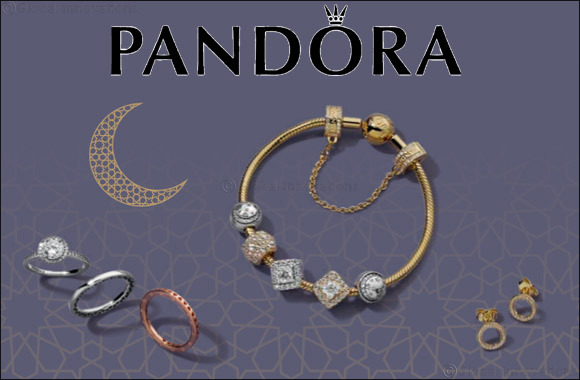 The Moment This Ramadan With Beautifully Symbolic Jewellery Gifts From Pandora, Finely Crafted From Genuine Metals. Dubai, UAE, April 21, 2018: Meet the seasonal styles and must-have designs this Ramadan and find the perfect hand-finished gift to honour the occasion. Celebrate with dazzling jewellery made from PANDORA’s selection of high-quality metals - in Sterling silver, PANDORA Shine, 14k gold and PANDORA Rose – that present stylish keepsake gifts to cherish for years to come. Create personalized PANDORA jewellery gifts with limitless possibilities. Choose from jewellery box classics such as the Moments Smooth PANDORA Shine Clasp bracelet, crafted in 18k gold-plated sterling silver, or the new floating locket pendant in PANDORA Rose, a unique metal blend with a flattering blush pink hue; ideal for creating contrasting two-tone looks with customizable petites in sterling silver. And what better time to gift a charm from the Arabian Journey Collection to convey her Arabian heritage, such as the Arabic love hearts charm with intricate designs of small hearts and the Arabic script of love, a wonderful addition to any bracelet or bangle. Spend AED650 during the Holy Month of Ramadan and receive a beautiful and contemporary rose-coloured jewellery box as a gift*. BECAUSE it’s not the occasion that makes a piece of jewellery special. It’s the relationship that makes it exceptional.